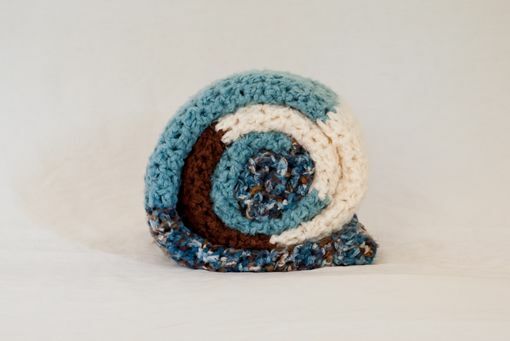 Crochet bamboo throw in vintage, sea Blue, cream, and brown. As a renewable resource, this bamboo throw is the perfect addition to any eco-friendly home. 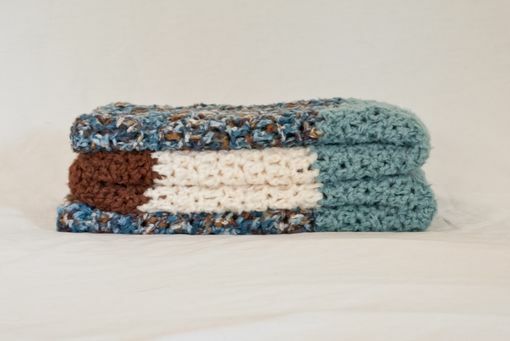 With measurements approximately 50" x 38", this throw is perfect for cuddling on the couch. This throw is hand-crafted so that all of the yarn is used! This non-traditional linear pattern adds more uniqueness and character! Throw is custom made to order! If you like the throw, but prefer different colors, message me for details! 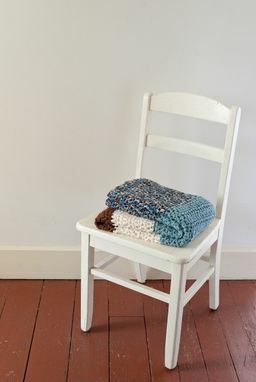 I would be happy to collaborate and work together to customize your cozy throw. Hand wash throw in cold water. Lay flat to dry. 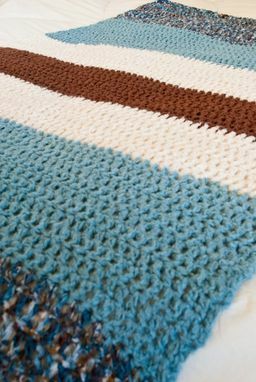 Allow 1-2 weeks for me to make your blanket/throw before shipping.